POLAND: Authorities in Łódź have intercepted a shipment of 25 tonnes of illegal refrigerant with a market value of around €600,000. 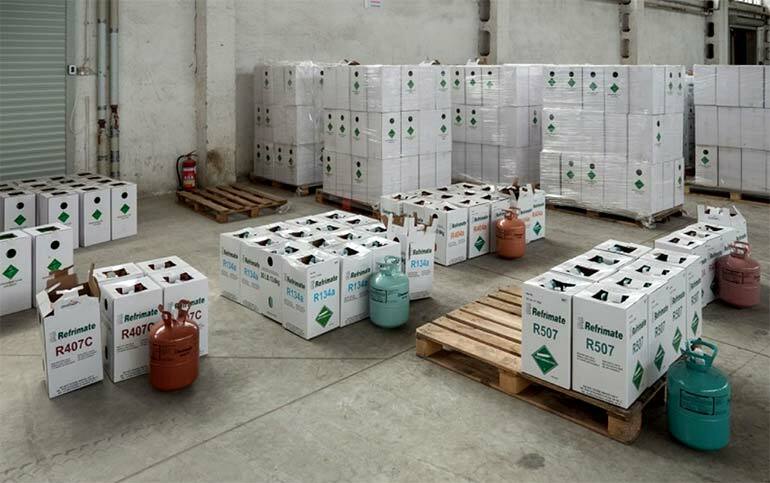 In what is thought to be the largest such seizure in Europe, the officers of the Tax Administration Chamber in Łódź discovered the illegal refrigerant during customs clearance of two consignments from Ukraine. Document control carried out by the customs and tax Service officers, and gas identification carried out using specialised equipment, in cooperation with the Environmental Protection Inspection and employees of the PROZON Climate Protection Foundation, are said to have left no doubt that the goods did not meet the basic requirements related to its import into the EU. The refrigerant was in illegal disposable cylinders and the shipment was confirmed as being outside of the European quota system. The fate of the shipment will now be decided by a court that can order forfeiture of the illegal refrigerant to the Polish treasury. It is also possible that the refrigerant may be ordered to be destroyed at the cost of the importer. Poland has been particularly hard hit by the flood of illegal refrigerant entering Europe as a result of rising prices brought on by the F-gas phase down. PROZON, an NGO supported by leading Polish refrigerant distributors, has estimated that the illegal trade was valued at €55m in 2018 and accounted for 40% of Polish demand. This is estimated to have cost the Polish treasury an estimated €7m in uncollected taxes and customs fees.